Tales of mystery and imagination from the demented mind of reclusive author Aleister Griddle. Episode 2: Children of a Lesser Elder God! Support on Patreon for Bonus Episodes! Will his quest for ancient, spooky-knowledge end in disaster? Well, I mean most likely, doesn't it always? Find out this and more in Children of a Lesser Elder God! Inspired by the creepily insensitive flawed but wonderful tales of H.P. Lovecraft, Children of a Lesser Elder God is a first person descent into madness and bargain-priced Orca meat. Support on Patreon for Bonus Material! Greetings friends! 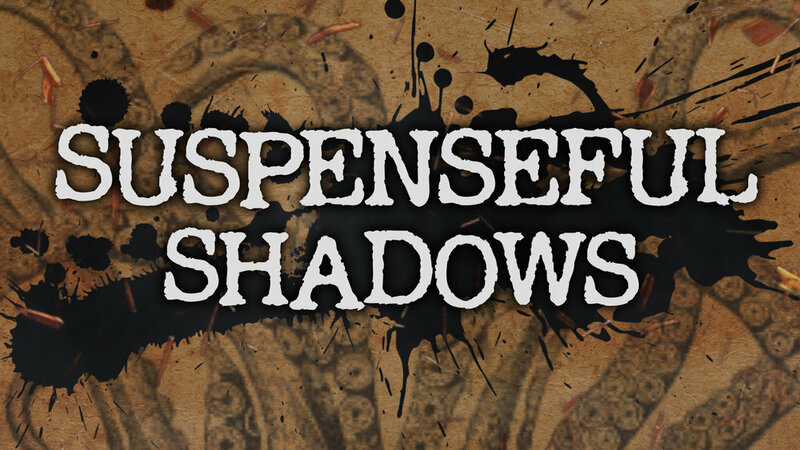 We are very pleased to share with you the first episode of Suspenseful Shadows season 1! Written by the reclusive horror author, Aleister Griddle, Suspenseful Shadows is a Horror Podcast in the style of the old audio plays of the 1940s. These episodes are a labor of love. They feature a full-cast with original score and sound effects throughout the entire episode. I very much hope you enjoy!